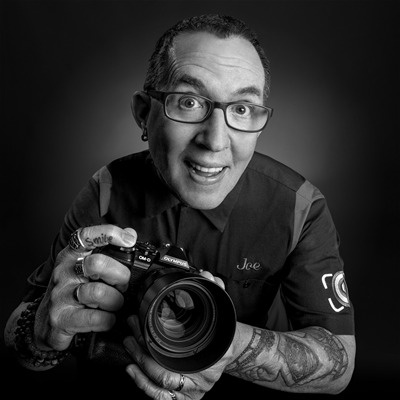 Joe Edelman is an Olympus Visionary and award-winning photographer and educator and YES – that crazy PHOTO Joe Edelman on YouTube!His primary subject: Beautiful people! His educational mission: To help photographers to develop a solid understanding of the HOWS and WHYS behind creating great photographs.His work is featured frequently on well-known photography blogs including Fstoppers, DIYPhotography, PetaPixel, Lifehacker, Shutterbug and LensVid among others.His award winning photographs have been published internationally and has serviced commercial advertising clients from all over the United States.Joe has earned a reputation as a lively and popular instructor and lecturer at camera clubs, photography conferences and photography workshops across the United States. He has been a speaker at events like ImagingUSA, WPPI, PhotoPlus, Out of Chicago, Carolina Photo Expo and numerous others.